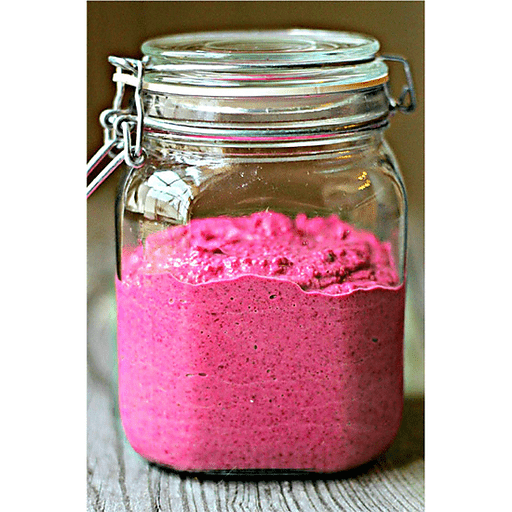 Beets, cloves and cinnamon provide a tasty twist on traditional hummus in this recipe. Served with pita chips and veggies, this is the perfect appetizer or snack. 1. Combine all ingredients, except oil, in a food processor. Puree while drizzling oil through vegetable shoot, until desired consistency is reached. Taste and adjust seasoning, if necessary. 1. Serve with fresh cut veggies, whole grain pita bread or crackers. Calories 220, Total Fat 14g (Saturated 2g, Trans 0g), Cholesterol 0mg, Sodium 300mg, Total Carbohydrate 18g (Dietary Fiber 5g, Sugars 5g), Protein 6g, Vitamin A 0%, Vitamin C 10%, Calcium 4%, Iron 10% *Nutritional values are an approximation. Actual nutritional values may vary due to preparation techniques, variations related to suppliers, regional and seasonal differences, or rounding.